Smart speakers are seeing increased adoption in WiFi-enabled houses across the country. In fact, these Internet devices now reside in over twice as many homes compared to one year ago, according to data from the media analytics company, comScore. 20 percent of American households with WiFi include some form of smart speaker. We covered this voice activated technology ever since the Amazon Echo first hit the marketplace in 2015. Now let’s analyze this latest information to help you decide on purchasing your own smart speaker. Maybe your house even needs a second or third unit? The Amazon Echo dominates the smart speaker market. Photo copyright Amazon. 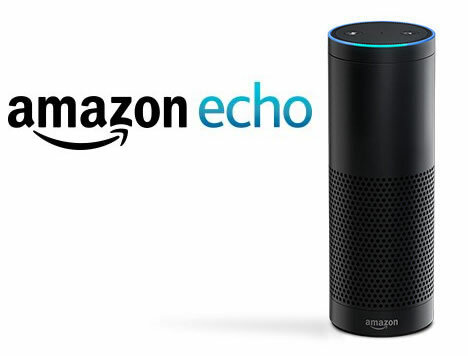 For its own part, Amazon released a cornucopia of variants on the Echo. These include the Amazon Tap, the smaller Echo Dot, and others. A few third-party units, like some Sonos models, even add voice control using Amazon’s Alexa. All these options for consumers led to an explosion in the smart speaker market over the recent Holiday season. The comScore data nicely illustrates this massive growth. According to the company, the market grew 50 percent in the three month period from December to January. 18.7 million homes now use at least one smart speaker. 30 percent of those households own more than one. The demographics for this market transcend all age groups and income levels. Susan Engleson from comScore commented on this massive market growth. “Driving this uptick in adoption was a larger variety of devices as well as lower price points. Google released the Home Mini on October 19 and kept the price at $29 for the holiday season. Amazon expanded its lineup prior to the holiday season with new devices – Echo, Echo Plus, Echo Show, Echo Spot and Echo Look – and also offered its entry-level device, the Echo Dot, for $29,” said Engleson. So does a smart speaker use a large amount of your Internet bandwidth? Thankfully, voice activated speakers consume a similar amount as any audio device, like an Internet radio. In short, you won’t need a Google Fiber account to get the most out of your Echo, Tap, or HomePod. If you want the best sound quality for using your smart speaker to stream music, the Apple HomePod received the best reviews. Sonos provides another worthy – possibly even superior – option with its Alexa voice control features. Still, even the best smart speaker doesn’t equal a fully appointed 5.1 home entertainment system to play music. Most music streaming services, like Spotify, Apple Music, Amazon Music, and Google Play are able to be managed using voice commands. This serves well as an alternative to a Bluetooth speaker or other wireless speaker option. Obviously, it serves an expanding niche in the American household. Everything from checking the latest scores to the local rush hour traffic is possible. You are also able to control your smart home. Simply use your voice to ask a question, whether it’s Siri, Amazon Alexa, Cortana, or another voice assistant. Stay tuned to Bandwidth Place for additional insights on your Internet service and the smart home devices that use it.